There are all sorts of mental training strategies and methods available for performing artists. These include meditation, biofeedback, visualization, neuro-linguistic programming, hypnosis, autogenic training, and the Centering Process. Which of these are you familiar with? Do you practice any of them? I find that many performing artists are most familiar with two of these strategies: meditation and Centering. I’ve done both, and I need to say upfront that I’m very partial in recommending Centering, especially for performers. Both strategies are used to help deal with nerves and performance anxiety. However, many performing artists don’t really understand the differences between the two processes. Meditation is a practice to regulate or train thoughts and clear the mind. The goal is to get to a state of inner silence, heightened awareness, and deep calm. Meditation provides a way to shift from the noisy, scattered left brain to the quiet, focused right brain. 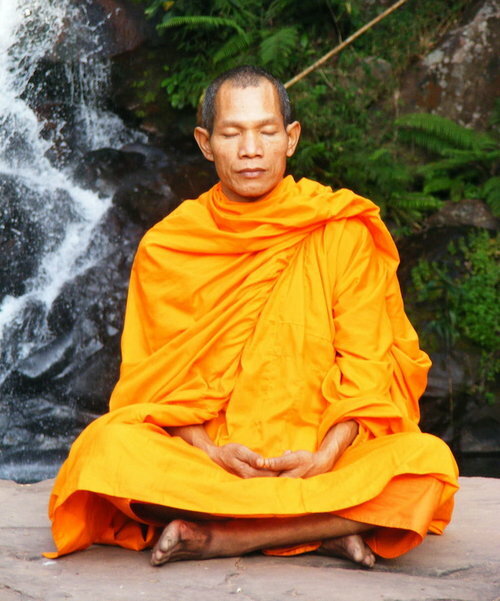 There are various forms of meditation, including many from ancient religious traditions and spiritual practices, as wells as numerous modern day techniques. Meditative practices go back many centuries. The earliest forms were practiced by the Egyptians around 4,000 BC and the Hindus in India around 1500 BC. There were Taoists in China in the 6th Century BC, and then the Buddhists in India around 500 BC. The ancient Hebrews were meditators as well as the early Christians. In the middle ages, Roman Catholics had meditative prayer and Gregorian chants. 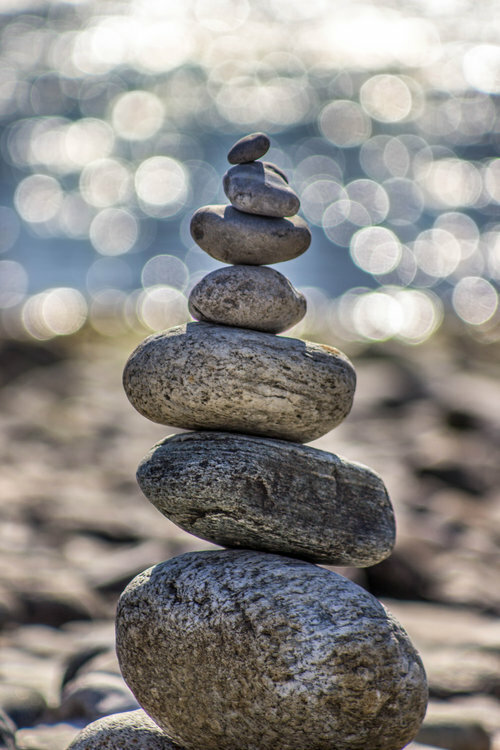 In modern times, we have Progressive Relaxation, Guided Imagery, Relaxation Response, Brainwave Entrainment, and Mindfulness-Based Stress Response. Among the countless forms of meditation, there are three main types: focused attention, mindfulness, and effortless presence. Each provides a different approach to getting physically relaxed and into the meditative state of mind. Focused attention is directed towards a single thing. This could be one’s breath, a candle flame, a specific word, mantra, image, sound, or physical sensation. The idea is to turn off the left brain’s executive functioning (analyzing, problem-solving, planning, etc.) and shift to the quiet right brain’s continuing presence in the here and now. Mindfulness (or the process of mind-monitoring) involves paying full attention to either an internal or external event that you focus on without judgment. The internal events would include a specific thought, memory, or feeling, that you contemplate without personal attachment. The external events would include a specific sound, smell, or perception, that you become fully aware of, without reacting to it. Effortless presence is a form of meditation that is all about emptying the mind of its incessant thoughts in order to reach a state of mental quiet and total presence. The attention is not focused on anything in particular, but it is removed from judgments, analyses, opinions, suggestions, recommendations, resolves, and left brain processing. It is a state of choiceless awareness, free of any mental attachments. Scientific studies have proven that all these forms of meditation result in health benefits. They lower blood pressure, heart rate, and anxiety. For example, a study by Dr. Linda E. Carlson published in Scientific American in 2014, showed how 88 cancer survivors who used meditation reduced stress levels and were even able to help alter their DNA over time. Meditation causes an important shift out of left brain processing. The left hemisphere thinks with lots of words, like a large committee meeting going on in your head. The left brain is also capable of thinking very rapidly (13-40 cycles per second on an EEG). This pattern is known as Beta. The faster the Beta thinking goes, the more one’s focus is scattered, which frequently causes an unwelcome increase in anxiety. The right hemisphere perceives through images, sounds, and sensations. It is free of words, judgments, worries, self-criticism, doubts, and other distracting thoughts. The right brain is capable of much more focused, slower Alpha thinking (7 to 12 cycles per second). In addition to quieting the mind’s rapid and incessant chatter, Alpha is usually accompanied by a welcome sense of calm and well-being. Most meditative practices require at least 20 minutes a day, if not more. Meditation is best done in a quiet environment, wearing comfortable attire, sitting in a proper posture. 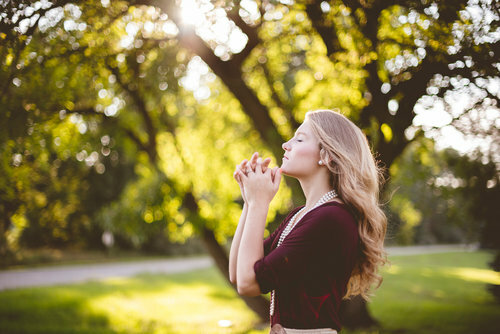 It’s also recommended that practitioners meditate at a time of day when they have sufficient energy to stay alert and focused for longer and longer periods of time. Although meditation can provide significant benefits to performing artists, I found that very few of them had an extra 20 to 40 minutes a day to meditate. While meditation can quiet the mind and lower anxiety levels, I don’t think that it’s a functional strategy for performers to use right before important events. It can result in a performer being too relaxed or even too right-brained (the left brain still needs to consider the repertoire, fellow performers, technique, etc.). Like meditation, Centering causes the important shift from the noisy left brain to the quiet right, from rapid Beta to slower Alpha. There is also a decrease in anxiety and muscle tension, and an increase in focus and presence. Furthermore, Centering can be done anywhere, sitting, standing, or even walking, in less than 10 seconds. 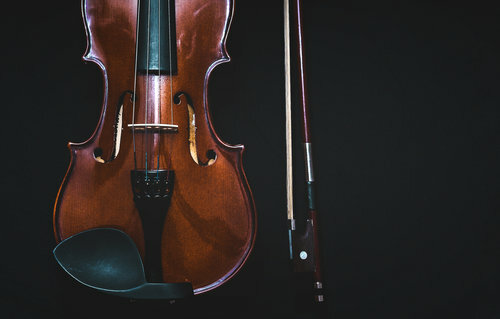 That’s why I have found Centering to be an ideal strategy for performing artists to use right before practice sessions, rehearsals, concerts, recitals, auditions, and even between excerpts at auditions. The Centering Process was adapted from the Japanese martial art of Aikido in the 1970’s by Dr. Robert Nideffer, a world renowned sports psychologist. Aikido is one of the most mentally oriented of all the martial arts. After attaining his black belt in Aikido in Japan, Nideffer returned to the U.S. and earned his PhD in Psychology. He then combined this powerful knowledge to develop a sophisticated focusing strategy, known as Centering, to prepare Olympic and professional athletes for peak performances under pressure. There are two different forms of the Centering Process: Centering Down and Centering Up. Each is a focusing strategy, but Centering Down reduces anxiety, while Centering Up raises energy. Thus, whether performers are either too up or too relaxed before going on, they can quickly change it to get in the optimal energy zone where they do their best. Both Centering Down and Centering Up can be learned in less than two weeks. I first learned the Centering Process in the 1980’s during my PhD program in Sports Psychology. Dr. Nideffer was one of my highly esteemed professors. He was also one of my advisors on my dissertation. As part of my research, I tested Centering vs. Progressive Relaxation with police SWAT officers who participated in a live stress-shooting course. The SWAT officers who had learned to Center, and used it right before starting the course, performed significantly better than the other officers. In 1984, Dr. Nideffer was working with both the Olympic Track and Field Team and the Mission Viejo Diving Team. He recommended that I take his place working with Olympic diving coach Ron O’Brien and his elite divers. Each of the divers on the team was trained to Center. 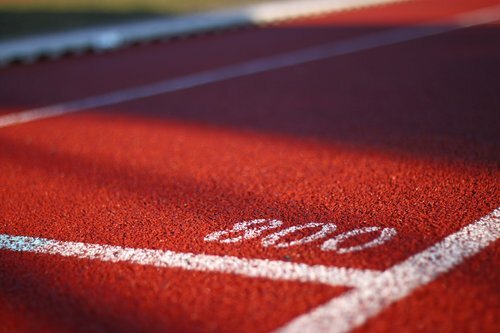 At the Olympic Trials in Indianapolis and then at the 1984 Games in Los Angeles, I witnessed first hand how powerful Centering was in helping the athletes perform their best under extreme pressure. Every one of the divers on the ‘84 Olympic team won at least one medal; Greg Louganis won two golds. Fast forward to 1995. I was still working with Olympic and professional athletes, and I also began training performing artists to win auditions. The first two, a horn player and a mezzo-soprano had both struggled with auditions and their nerves. Centering was an important part of their curriculum. I worked with each of them for two months, and they both won their auditions: Houston Symphony and Chicago Lyric Opera. A few years later, a professor at The Juilliard School asked me to work with four musicians preparing for a MET Orchestra audition. Again, Centering was an integral part of their training. Of the 59 candidates who played the audition, these four musicians came in 5th, 4th, 2nd, and 1st. I then started teaching at Juilliard, the New World Symphony, and later at the Colburn School. Since then, my students and clients have learned to Center and have won positions in orchestras and ensembles all over the world. Performing your best is about finding the mental training strategies that help you to work well under pressure. Interested in meditation? Check out musician Kenny Werner’s book and meditation tracks through Effortless Mastery. A new app called Headspace now has meditation series for everything from health to relationships to sports. Interested in my favorite, Centering? Get ready, because my course Performance Mastery is coming out very soon! I will be teaching Centering Down and Centering Up, as well as covering high energy Simulation Training and Mental Rehearsal Techniques. I support meditation in your life but encourage you to use Centering every day in your practice room and on stage.